One day before Edward Snowden's new biopic is set to open, a House Intelligence Committee has claimed that Snowden was not a whistleblower, as the secrets he possessed were a matter of national security and not privacy. 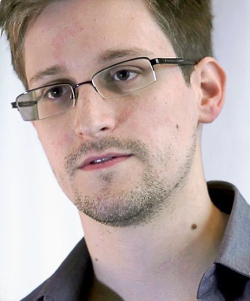 Snowden famously avoided US officials in Russia by way of Hong Kong, after exposing top-level NSA human rights abuses. He was hoping to be pardoned by standing President Barack Obama, but the House Intel Committee's decision does not support that. Obama also extended post-9/11 "emergency measures," making Snowden's hope for clemency even less likely. Edward Snowden has publicly stated that he is not comfortable with director, Oliver Stone's portrayal of him in the biopic, Snowden.